Join Traveleyes on our first ever 18-30 somethings trip in the magical country of Thailand. Renowned for its pristine and picturesque beaches, mouth watering food and a nightlife like no other, Thailand is the perfect destination. We’ll start our adventure in the bustling city of Chiang Mai, nestled in the north of Thailand. 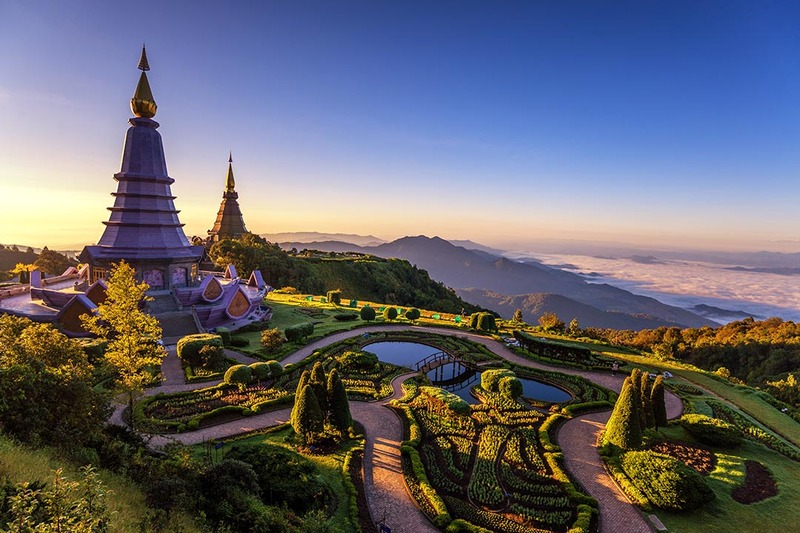 Chiang Mai is known for its blend of old buildings and new age culture, as ancient streets are adorned with hip, cool cafes and the idea of wellness runs deep throughout the city. 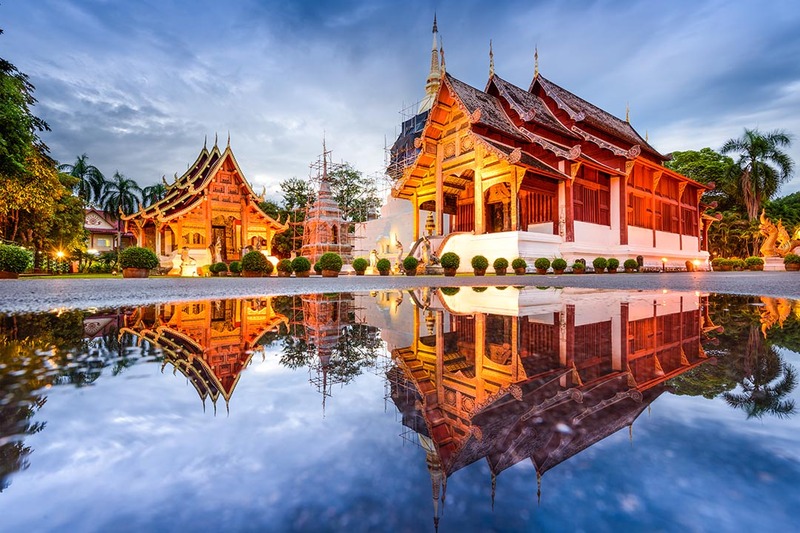 Here you will be able to get a real flavour of Thai culture, to experience the friendliness of the locals and taste the local delicacies; and in the place where street food is king, you get more bang for your buck. After 4 days in Chiang Mai, our journey will take us to southern Thailand, where we swap the bustling city life for the beach life in Phuket. 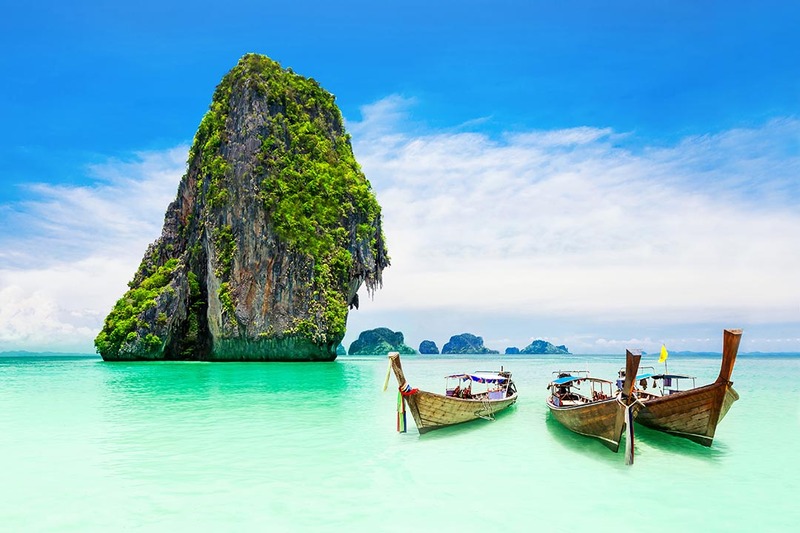 Here you will be able to see the natural beauty of Thailand that has made this area of the world a travel hotspot, with beaches and scenery like nowhere else in the world; Phuket really is a little slice of paradise. 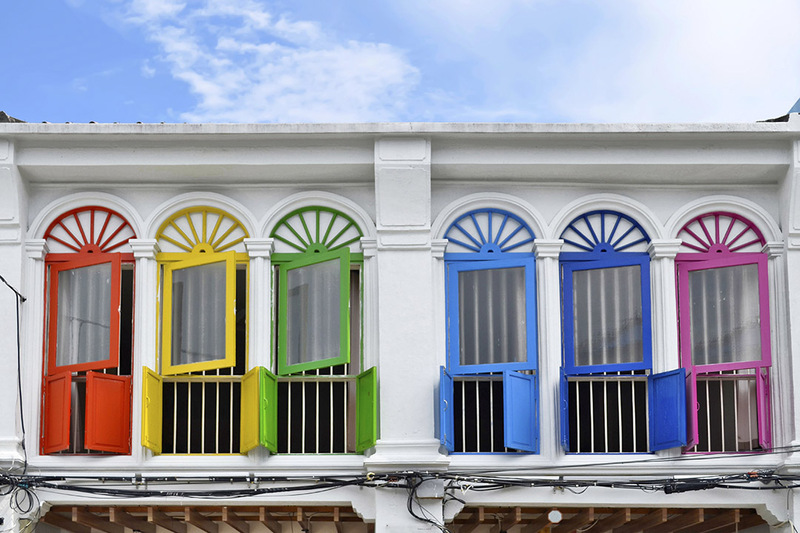 Learn about the traditional culture that still runs strong despite the area’s growth, visit islands that will literally take your breath away, and party until dawn. Today we begin our journey to Thailand, where our adventure awaits. We arrive early this morning into Chiang Mai, where we will be met by our local guide. 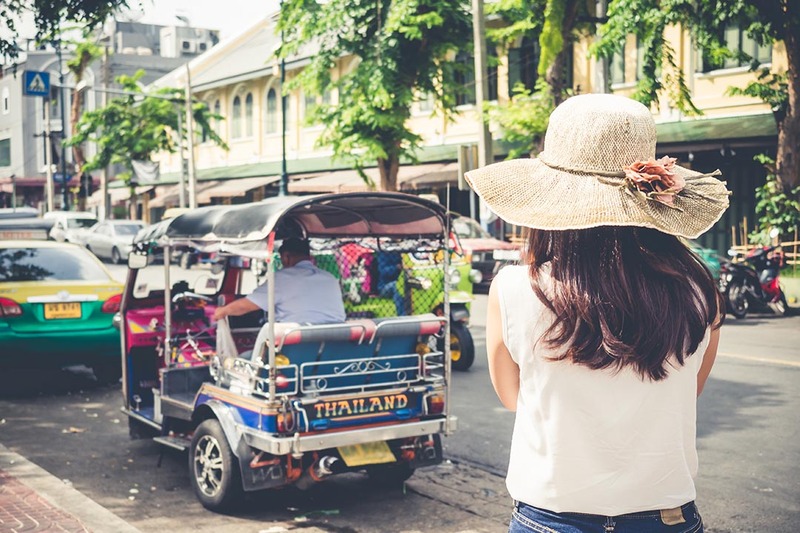 We’ll transfer to our hotel to drop off our luggage, and as check in won’t be open yet, you may wish to venture into the old town to grab some breakfast – your first taste of Thai cuisine! You may like to head to My Secret Café in Town, where brunch is the name of the game and the smoothie bowls are a taste sensation. After this, what you do is up to you! Take some more time to meander the streets of the old town, enjoy a relaxing massage, or head back to the pool at our hotel to lounge around in the sun before check-in at 2pm. Take some time this afternoon to recuperate after a long day of travelling. You’ll need your rest too, as tonight is your first night in Chiang Mai and the first chance to experience the evening here. From bars to cool restaurants, there is no shortage of things to do. Have you ever been in a tuk tuk? If not, you’re in for a treat! 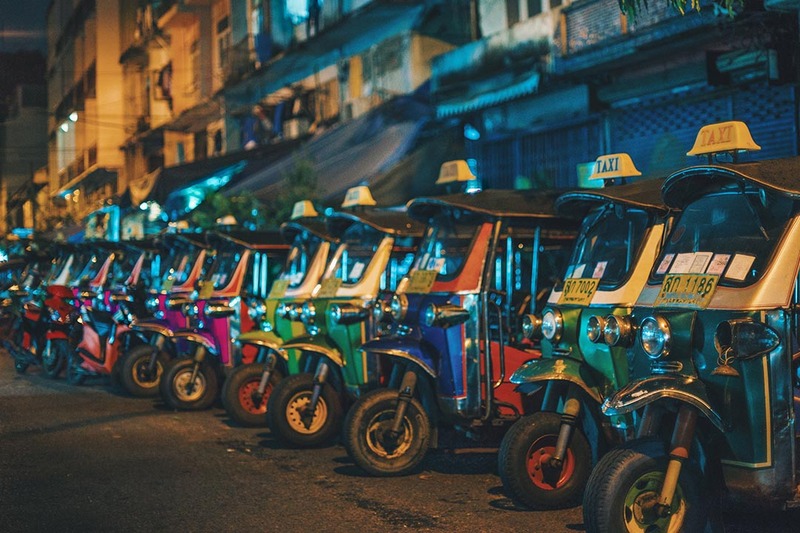 Thailand’s most iconic form of transportation, a three-wheeler with a distinctive look that is synonymous with this area of the world is our mode of travel today. 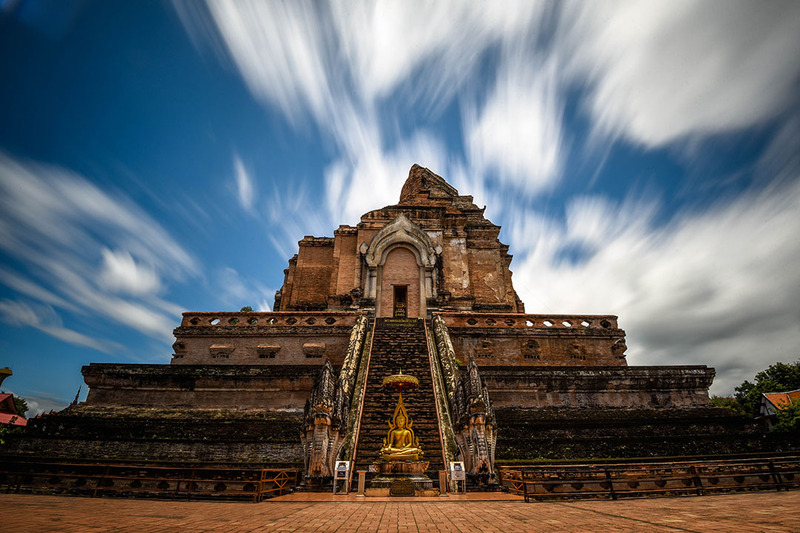 We’ll hop in the back of the tuk tuks to explore the magnificent city of Chiang Mai, visiting sights such as Wat Phra Singh and the Three Kings Monument, before venturing to a bustling city market where you can truly soak up the atmosphere of this lively city. This afternoon we’ll head to the hills, where we’ll visit Doi Suthep – one of the city’s most spiritual temples. Here we’ll experience a unique private blessing and bear witness to the monks chanting. We’ll stay here to watch the sunset, taking in the incredible beauty to be found, before heading back to the hotel. 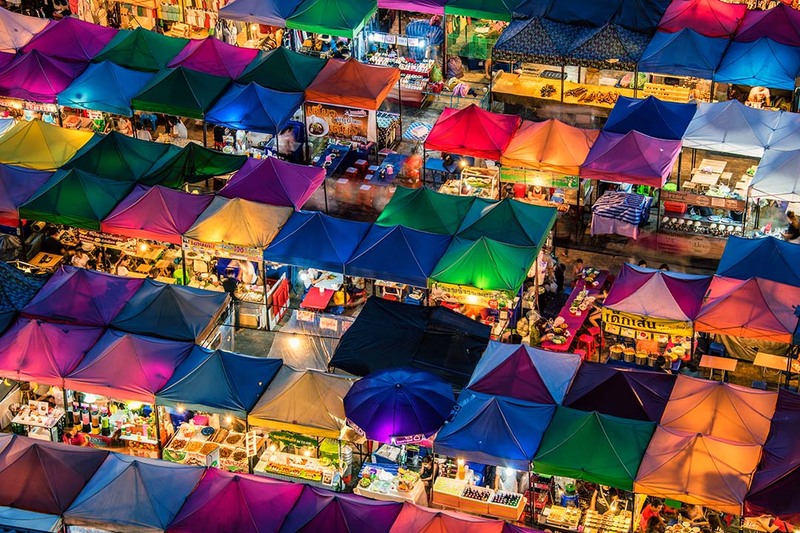 Tonight you may wish to go to one of the city’s night markets to try out the local street food. 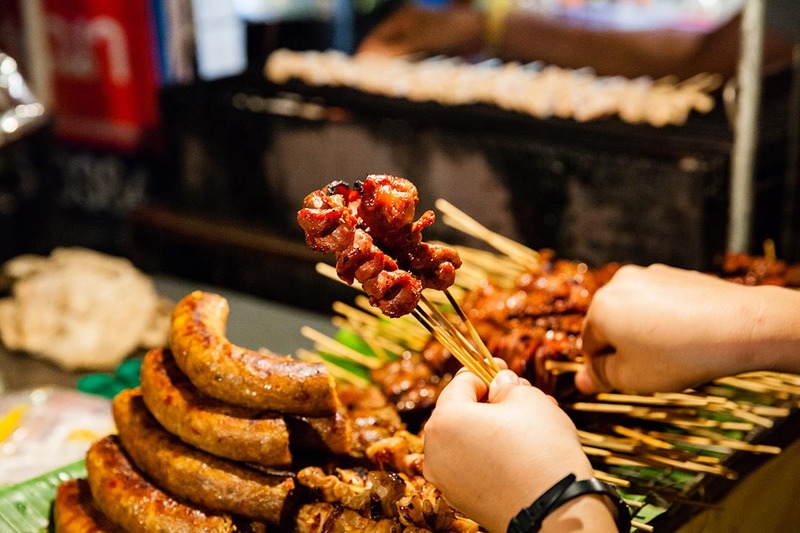 This is something not to be missed as street food in Asia is some of the tastiest food, and for as little as 1 pound a dish, what’s not to like? Breakfast and lunch included. Overnight in Chiang Mai. Day 4: Have a leisurely morning before trying a cooking class! This morning there are no scheduled activities, so how you spend your time is up to you. Some of you might need a few extra winks, depending on how the night before went! For those of you looking to fill your morning why not get into the spirit of laid back, zen Chiang Mai and head to a yoga class? This afternoon we’ll embark on an activity not to be missed in Thailand – a cooking class! We begin at a local market where we’ll purchase our ingredients for the class before heading to a cooking school where our lesson starts. During the class, we’ll make 3 meals and 1 dessert before settling down to taste our creations! As is traditional in cooking classes, a recipe booklet containing some of the dishes will be given so you can recreate the scrumptious feasts at home. Tonight, why not visit one of Chiang Mai’s many rooftop bars before heading to one of the livelier bars to dance the night away? Breakfast and dinner included. Overnight in Chiang Mai. Day 5: Free morning before trying your hand at Thai Boxing! Today starts with a leisurely morning. Catch some sun by the pool or head to a local café to just hang out and watch the world go by. Alternatively, why not try a traditional Thai massage? This is an experience not to be missed and one that will certainly make you feel zen. After your slow start to the day, we pick up the pace this afternoon as we head to a Thai boxing class! During this 1 hour class, you’ll master the basics of this famous martial art and learn the techniques behind the moves! You may wish to visit another night market for dinner this evening or perhaps hitting a local restaurant is more your vibe for tonight? If you haven’t tried Pad Thai yet make sure to grab some – this famous dish really is as good as everyone makes out. It’s our last night in Chiang Mai, so be sure to make the most of it! Breakfast included. Overnight in Chiang Mai. Today we leave the bustling city of Chiang Mai and head south, to the Pearl of the Andaman, Phuket. Upon arrival we will make our way to the hotel and check in from 2pm. The rest of the day is at leisure to settle into your new surroundings. Known for its beaches, vibrant culture and nightlife, Phuket offers a whole range of activities. So whether you love to party or you’re here to experience the culture, there is something for everyone. Breakfast included. Overnight in Phuket. 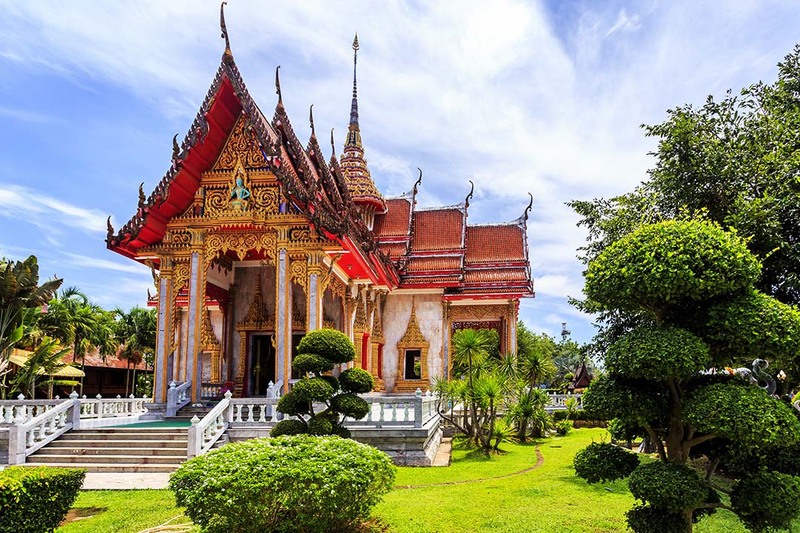 Explore the cultural side of Phuket today as we embark on a tour that highlights the traditions of Thai people that live here. We’ll have the opportunity to try on Phuket traditional dress; note the different textures of the clothes and the vibrant colours used to make these beautiful garments. Following this, we’ll visit the Chinese Mansion, which dates back 100 years. Here we’ll get a sense of the vast history of this area, reminding us that there is more to Phuket than beaches and parties. Continuing for the day, we’ll walk through the Old Town, where the architecture is an eclectic blend of Thai, Chinese and Portuguese, making the buildings completely unique to Phuket. Finally, we’ll stop to try some of the local street food such as Tom Yum Noodles and curry in steamed banana leaves. 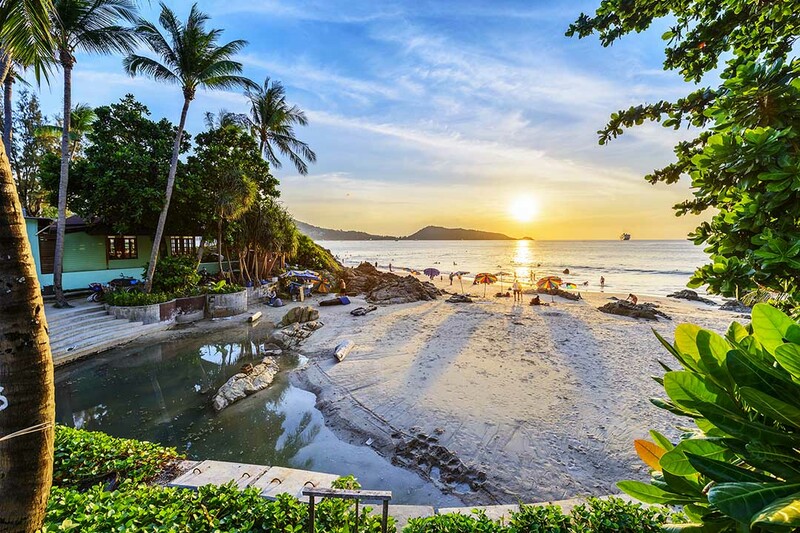 This afternoon why not hit the famous Patong Beach where there is an abundance of cool cafes, bars and, of course, a beautiful white sand beach to relax on. As night creeps in, it’s time to start planning the evening ahead. For a peaceful evening, head out to dinner or rest in the hotel, but for those of you looking for more of a lively time, why not make your way to Bangla Road, Phuket’s main hub for a night out. Breakfast and lunch included. Overnight in Phuket. 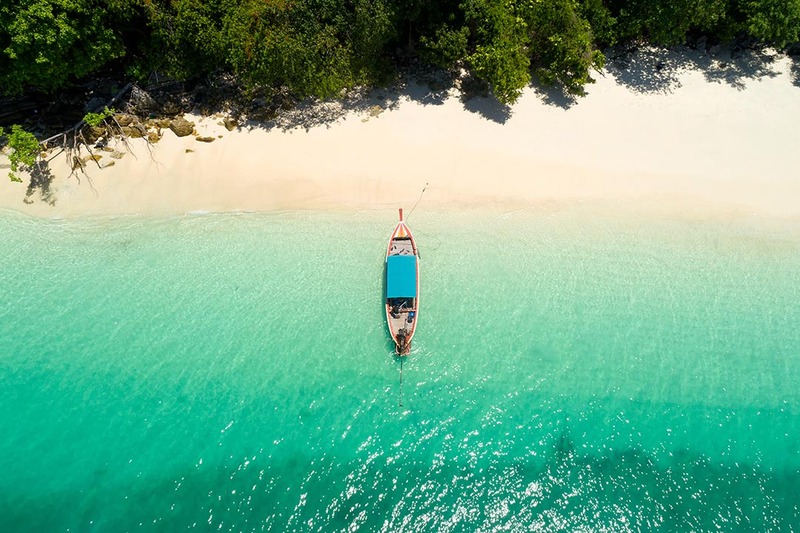 Phuket is known for a number of things, but one of its most revered aspects is the plethora of breath-taking islands that are dotted around it. Today we get the chance to visit some of these and experience just how jaw-dropping Thailand truly is. We start our day at Pier 88 where we’ll be provided with a hearty breakfast, fuelling us for the day ahead! After our breakfast, we’ll board a private boat which will take us on a journey across the dazzling, sapphire waters to our first stop for the day, Laem Had Beach on Koh Yao Noi Island. This beautiful beach is everything you could expect or want from a beach, with soft white sand juxtaposed by bright blue, clear ocean. Here we have some time to just kick back and relax; after all, that’s what the beach life is all about! This is also the perfect spot for those Instagram shots, so have your cameras ready. After a picnic lunch we will set sail again, to Hong Island, the edge of wonder land. When you think of islands in Thailand, this place is exactly what you envision. With a spattering of rocky islands poking out of the water, powder sand beaches and traditional long boats bobbing on the water, here we find quintessential Thailand. We’ll spend a few hours here, you may wish to snorkel, swim out to one of the rocky islands or simply lie on the sand and bask in the beauty of this little slice of paradise. Later, we’ll return to the mainland and have another evening in Phuket. Day 9: Your final day so use it wisely! Today is your last day in Phuket so the day is free for you to decide what to do. 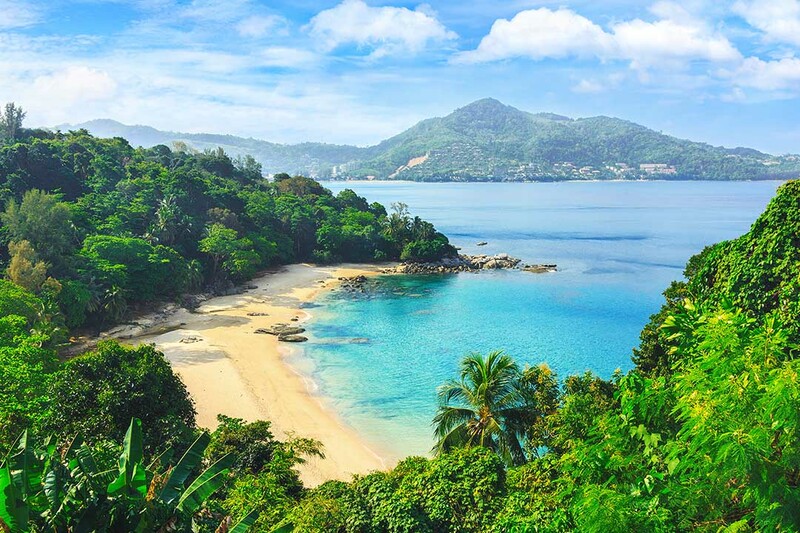 You may wish to visit another island, or one of the many beaches across Phuket such as Nai Harn Beach in the south of the island. Why not try another cooking class, or visit some of the island’s temples? Tonight, for our final evening, we’ll decide together where to go as a group and enjoy one last night together before heading home tomorrow! Sadly our adventure comes to an end today and we must make our way to the airport to begin our journey home. Breakfast included. Overnight in flight. Our group flight arrives back into the UK. Time to say goodbye to everyone and we’ll see you all on the next one! Save £100 by booking together! If you’re VI and your friend is sighted, or you’re sighted and your friend is VI, book Thailand together and save £100 each off your holiday! * Please note this is only applicable to pairs who sign up where 1 is visually impaired and 1 is sighted.